Three weeks away from Melbourne leaves you with intense cravings for good coffee. 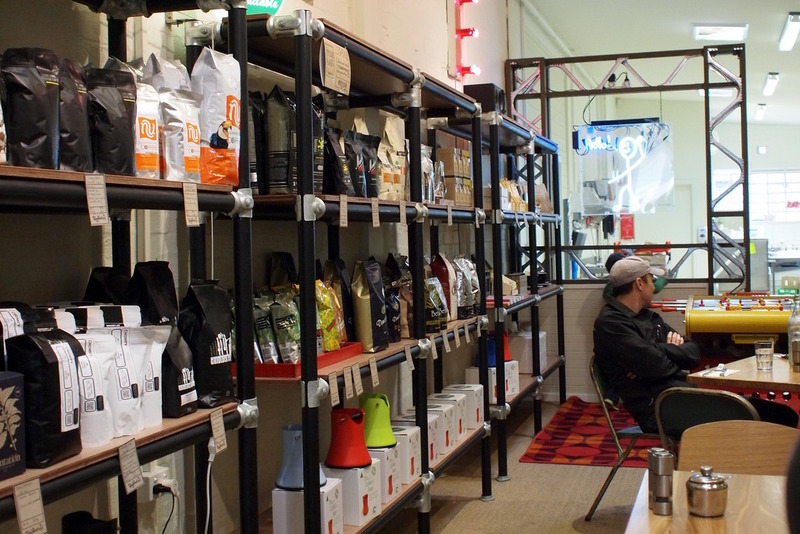 I'd been meaning to head out to Camberwell to check out Coffeehead ever since it opened, and finally had the opportunity on my first Saturday back in the country. Thankfully, this place is all about coffee. 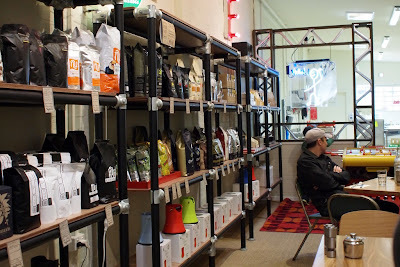 Even though they have an online store where they sell a massive range of beans, that doesn't stop them from having an impressive amount on their shelves. From established roasters like Proud Mary and Jasper, to newcomers like Tom and Shanny Filter Coffee Roasters, there's actually a brew for every coffee lover out there. Next time I'm travelling, I'm bringing a hand grinder, a pour-over and a few bags of coffee in my carry-on. Indeed, the Proud Mary Honeysuckle Blend I was recommended was deliciously sweet and creamy, without much acidity. As I rarely have lattes anymore, this was definitely a great brew with just a dash of milk. M tried the house brew (his latte art below was nicer), which I found to be too sour, but he enjoyed it well enough. I must say, initially I found the eggs, how shall I say it, boring. Towards the end of the dish, I realised that this was largely due to my impatience. The eggs were too hot for me to take a large mouthful, so I only got a tiny hit of flavour with each bite. As it cooled down however, I could get a proper spoonful and found that the elements of the dish tied together well. Slightly spicy chorizo with tangy tomato and sweet capsicum on toasted sourdough is an addictive combination. I still wanted to add a dash of salt to the dish as I found the goats' cheese lacking that kick, but definitely felt less and less need for it as I worked my way through the dish. 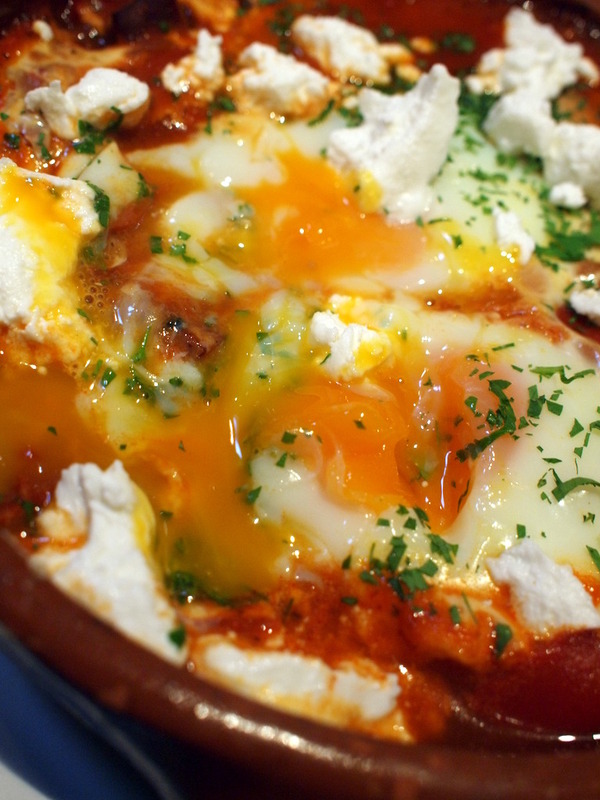 Plus, I can't argue with those mesmerising-ly gooey yolks. The eggs were just as gooey as mine, and overall the dish was probably a great deal healthier. All those greens have got to be good for you after all. He had no complaints about the flavour or the texture, and polished off the dish in (almost) record time. 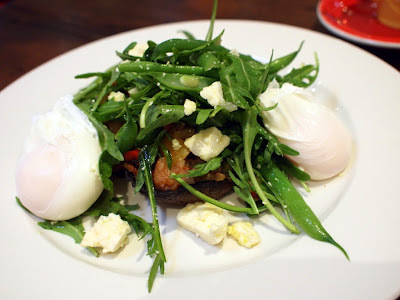 Being closer to the station that I realised, and therefore accessible even to someone who hates straying from the city, Coffeehead is a genuinely attractive destination for brunch with it's large space and super friendly service. 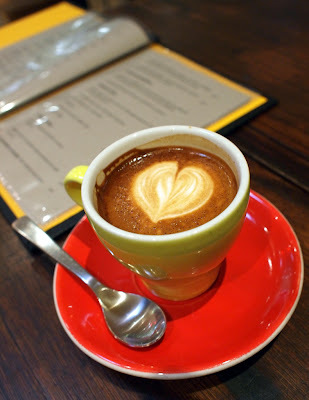 For a serious coffee lover, the range of coffees in the grinders, and available for purchase, is almost heaven-like. 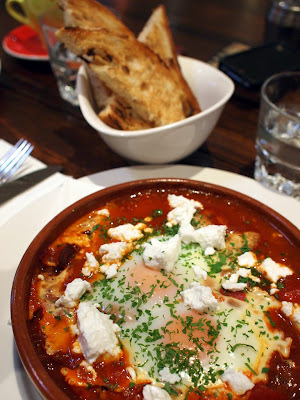 While the food isn't mind-blowing, it's definitely above average and a nice accompaniment to the coffee. The cafe is kid-friendly too, if that's your thing.